Branka Jovicic is a graduate of Musicology Academy, Sarajevo, Bosnia and also holds a Bachelor degree in Journalism. She performs professionally and has been a member of an opera orchestra and string chamber orchestra from ten years. 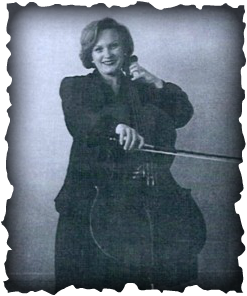 She is an experienced cello teacher and has taught individually and in classes. Branch and her family left Bosnia after the war began and relocated to San Pedro. she currently plays with the South Bay City Symphony.